It never fails to amaze me how quick and hassle free microwave cooking is and palak paneer in microwave is no exception. I also cook palak paneer on a stovetop. When I tried it in microwave, I found it to be equally tasty and easier. 1. Remove stems of palak and retain the leaves. Wash palak leaves thoroughly under running water, drain. Chop them coarsely. 2. Grind together onions, tomatoes, ginger and green chillies to a smooth paste. Cut paneer into cubes. Set aside. 3. 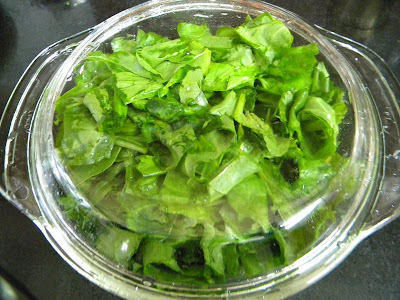 In a microwave safe bowl, place chopped palak leaves and cook covered for 2 minutes on a High. 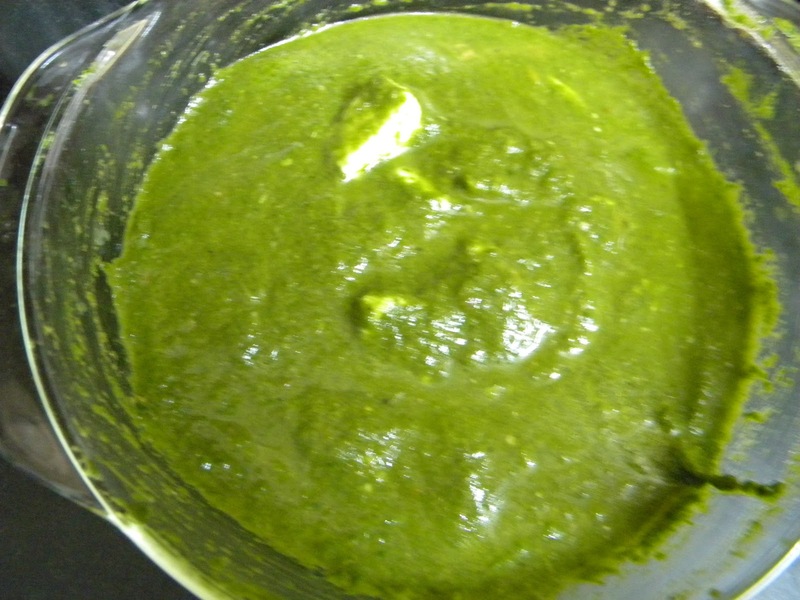 Take out and puree the cooked palak leaves. 4. In the same microwave safe bowl, place oil and add onion-tomato paste and all the spices and salt. Cook uncovered on a High for 3 minutes. 5. Add palak puree and mix. Cook uncovered for 5 minutes. 6. Add paneer cubes, malai and cook uncovered for 1 minute. Serve hot palak paneer with naan, paratha or rice.